Holger Hoock, associate dean for graduate studies and research in the Kenneth P. Dietrich School of Arts and Sciences and the J. Carroll Amundson Professor of British History, recently received a $25,000 grant from the National Endowment for the Humanities to support his project, “Humanities Careers: Re-Imagining Doctoral Education in the Humanities.” Hoock’s project aims to foster a cultural transformation in how faculty, students and University administrators envision the broader importance of doctorates in humanities, as well as the societal impacts of humanistic training. Studying current culture and resources across programs, and investigating best practices nationally, the project team will create an initial suite of new resources and make actionable recommendations to the University, the Dietrich School and doctoral programs. In recognition of his excellence in teaching and development of its Art of Making program, the University of Pittsburgh Swanson School of Engineering presented Joseph Samosky, assistant professor of bioengineering, with its 2018 Outstanding Educator Award. In 2013, Pitt joined the NSF’s Epicenter (Engineering Pathways to Innovation) program, which created an opportunity for Samosky to utilize his passion for this style of learning to develop a design-centered course called The Art of Making. In this course, students apply innovative methods to solve real-world problems while gaining hands-on experience with cutting-edge technologies including robotics, smart systems and user interfaces. It is offered in the Swanson School to first-year and upper-level undergraduate students. In addition to establishing this course, Samosky has served as a mentor for 27 bioengineering senior design teams, advising a total of 130 students. The undergraduate projects he has mentioned have led to 33 students being co-authors on 14 papers and conference presentations, and co-inventors on 8 invention disclosures and provisional patents and 2 issued patents. Nineteen new members of Pitt’s Cathedral of Learning Society were inducted in a June 22 celebration in the Cathedral of Learning Commons Room. The recognition program honors donors who have made lifetime gifts of $1 million or more to the University. At the event, inductees were presented with medallions and crystal recognition awards etched with the image of the Cathedral of Learning. More than 200 donors have been inducted into the Cathedral of Learning Society since its inception in 1999. The generosity of this year’s cohort of Cathedral of Learning Society members has established student scholarships, endowed academic chairs, supported sports teams and facilities, funded academic programs and advanced a wide range of medical research. 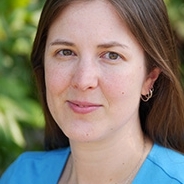 Assistant professor in the Department of Health and Physical Activity Bethany Barone Gibbs was awarded a $3.4 million, 5-year grant from the National Heart, Lung, and Blood Institute to study whether an intervention that targets reduced sitting can reduce blood pressure. Co-investigators include John Jakicic (also from Health and Physical Activity), Subashan Perera and Matt Muldoon (Pitt School of Medicine), and Molly Conroy (School of Medicine, University of Utah). Gibbs’ project, "Effect of Reducing Sedentary Behavior on Blood Pressure," is a 3-month randomized trial involving desk workers with unmedicated, but elevated hypertension. This initiative is especially timely given the American Heart Association and American College of Cardiology’s recent recommendation to begin treatment at lower blood pressures. The intervention arm of the trial will target reduced sitting through use of a sit-stand desk attachment, activity prompter, and behavioral counseling. Tessa McCarthy and Doug Kostewicz, faculty members in the University of Pittsburgh School of Education's Department of Instruction and Learning, will be co-principal investigators on Project Certifying Orientation and Mobility/Behavior Specialists (COMBS), a professional training grant funded by the federal Office of Special Education Programs (OSEP) for $1.1 million over the next five years. The purpose of Project COMBS is to provide tuition assistance for master’s level students who wish to pursue degrees in either orientation and mobility or applied behavior analysis and work with blind or visually impaired students upon graduation. The project focuses on giving certified teachers of visually impaired students the opportunity to become highly qualified, highly collaborative professionals who also are certified as orientation and mobility, and behavior specialists. Fifteen scholars studying Vision Studies will have the opportunity to add certification as an orientation and mobility specialist and certification as a behavior specialist to their prerequisite certification as a teacher of students with visual impairments. Nine scholars focusing on applied behavior analysis will have the opportunity to gain additional expertise in working with students who are blind or visually impaired in order to implement more accessible interventions and assist with identification and referrals of students who are blind and visually impaired. Twenty-three projects supporting the University of Pittsburgh’s strategic goals will receive funding from the new Pitt Seed Project, allowing faculty and staff to develop their ideas for transforming the University. Chancellor Patrick Gallagher announced the new initiative earlier this year, and received 171 applications for funding. The awardees were chosen after 125 faculty and staff members spent weeks reviewing the proposals. The entries represent a wide range of interests and individuals within the University and all six goals within the Plan for Pitt. Funded projects come from areas including critical care medicine, Africana studies, bioengineering, the Office of the Provost, the Office of Research, law and computer science. The complete list of awardees gives a brief description of the project and names the office or department and the lead applicant associated with each proposal. The University of Pittsburgh Innovation Institute was recognized for its commitment to building programs that accelerate innovations from the laboratory and research into commercialization at the recent Deshpande Symposium on Innovation and Entrepreneurship in Higher Education. “It is an honor to receive the Deshpande Symposium award for Exemplary Practice in Technology Commercialization,” said Rob Rutenbar, Pitt’s senior vice chancellor for research. “This award is a reflection of the talent and dedication of the Innovation Institute staff, and of the commitment of Pitt leadership to growing the culture of innovation and entrepreneurship at the University. While proud of our progress, we understand that innovation and entrepreneurship in higher education is a relatively young and ever-evolving domain, and we look forward to continuing to share our experience, while learning from our colleagues at other institutions. This is the value that Deshpande Symposium brings to us all,” he added. The Deshpande Symposium Awards recognize outstanding accomplishments in promoting innovation and entrepreneurship on college campuses. David A. Vorp, associate dean for research and John A. Swanson Professor of Bioengineering at the University of Pittsburgh Swanson School of Engineering, was named a Fellow of the American Heart Association (FAHA) in recognition of his innovative and sustained contributions in scholarship, education and volunteer service to the organization. Vorp’s election was conferred by the Council on Arteriosclerosis, Thrombosis and Vascular Biology (ATVB) recognizing his work in those fields over the past 26 years. Vorp has published more than 120 peer-reviewed research articles and currently serves on three editorial boards. His research has been supported by over $14 million from the National Institutes of Health, the American Heart Association and other sources. He has several patents in the field of vascular bioengineering and is a co-founder of Neograft Technologies, Inc., a startup that uses technology developed in his lab to help produce arterial vein grafts. Read more about the honor. A group of faculty from the University of Pittsburgh’s School of Education recently received a leadership training grant from the federal Office of Special Education Programs (OSEP) for a new urban special education program. The grant, which totals more than $1 million, will operate the Urban Special Education Scholars (USES) program as a collaboration between Pitt’s Special Education Program and the Center for Urban Education. Doug Kostewicz, associate professor of Instruction and Learning, leads the team which includes IL’s associate professor Sheila Conway and assistant professor Rachel Robertson, along with Rich Milner, professor and director of the Center for Urban Education, and Lori Delale-O'Connor, assistant professor and CUE’s associate director of research. USES is a four-year program designed to prepare a team of five special education doctoral graduates with a focus in implementing multi-tiered systems of supports in urban settings starting in fall 2018. Scholars will be prepared to provide in-service and pre-service preparation for teachers of high-need students with disabilities, to conduct and publish scholarly research that furthers the knowledge base and improves practice, and to serve in positions of leadership at local, state or national levels. Additionally, the program requires fellows spend two semesters supporting special education teachers and students with special needs in an inclusive, high-poverty, high-needs school. Upon graduation and employment, the faculty at the University of Pittsburgh will continue to support fellows through an induction program. Steven Belle, co-director of the Epidemiology Data Center at the University of Pittsburgh Graduate School of Public Health, has been named a fellow of the Society for Clinical Trials. Belle was recognized for his outstanding leadership of data coordination for several multicenter studies of surgical outcomes and other treatment trials across a wide range of conditions and applications, including obesity and liver disease. He was also cited for his work combining information across multiple clinical trials. His work has also aided in research and treatments for conditions including hepatitis C, pediatric acute liver failure, liver transplantation and Alzheimer’s disease. Aurora Sharrard, executive director of the Pittsburgh-based Green Building Alliance, has been named the University’s first Director of Sustainability. She will assume her new role on July 9, reporting to Senior Vice Chancellor for Business and Operations Gregory A. Scott. Pitt’s new Office of Sustainability was established to coordinate the University’s many sustainability initiatives, foster collaboration and monitor progress toward the bold goals outlined in the Pitt Sustainability Plan. Sharrard earned a bachelor’s degree in civil engineering at Tulane University and holds master’s and PhD degrees in civil and environmental engineering with an emphasis in green design from Carnegie Mellon University. During her 11-year tenure at the Green Building Alliance, Sharrard co-founded the Pittsburgh 2030 District, convened the Pittsburgh Climate Initiative and created Pittsburgh Green Story to highlight the region’s sustainability achievements. The National Security Education Program has recognized eight University of Pittsburgh students with Boren Awards — Pitt’s largest number of Boren awardees. These study-abroad awards enable their recipients to further their studies of “languages and cultures most critical to our nation’s security.” This is the 25th consecutive year that Pitt students have won this prestigious award. After returning to the United States, the Boren recipients will work in a federal government agency for a minimum of a year. Visit www.borenawards.org for more information about the Boren Awards. The Association for the Advancement of Sustainability in Higher Education has recognized Pitt’s sustainability accomplishments with a STARS Silver rating. STARS, the Sustainability Tracking, Assessment & Rating System, measures and encourages sustainability in all aspects of higher education. Pitt’s rating was based on its achievements in five overall areas: academics, engagement, operations, planning and administration and innovation and leadership. Among Pitt’s many sustainability initiatives, AASHE reviewers noted the University-wide commitment to sustainable landscape design; the University of Thriftsburgh campus thrift store that encourages re-use; and sustainable dining practices. “We are proud to have achieved STARS Silver in our first-ever AASHE rating,” said Richard Heller, senior manager of electrical utilities and energy initiatives in Pitt’s Facilities Management Division, who coordinated the development of the University’s new sustainability plan. The plan’s measurable goals include reducing greenhouse gas emissions, water usage and landfill waste and increasing the percentage of renewable energy used on campus. “The Pitt Sustainability Plan provides a framework for expanding on our longstanding commitment to sustainability. “I look forward to seeing how the ongoing implementation of the plan improves our future STARS performance,” he said. Steven Little was recently named the recipient of Controlled Release Society’s 2018 Young Investigator award. The honor annually recognizes one individual in the world, 40 years of age or younger, for outstanding contributions in the science of controlled release. 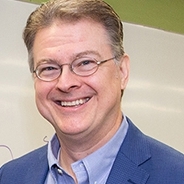 Little is the William Kepler Whiteford Endowed Professor and Chair of the Department of Chemical and Petroleum Engineering at Pitt’s Swanson School of Engineering. His focuses are on novel drug delivery systems that mimic the body’s own mechanisms of healing and resolving inflammation. Melanie Hughes of the Department of Sociology in the Kenneth P. Dietrich School of Arts and Sciences and Müge Finkel of the Graduate School of Public and International Affairs won support to convene an interdisciplinary and international advisory board for two workshops and to conduct a mixed-methods pilot study, including research trips to Colombia, Denmark and South Africa. The project will be the first endeavor of the University of Pittsburgh’s Gender Inequality Research Lab (GIRL). The Social-Science Research Initiative awards up to $50,000 to expand Pitt social scientists' involvement in research that uses integrative approaches from multiple disciplines. GIRL, which launched in November 2017, is a new interdisciplinary research forum for scholars and practitioners to collaborate on policy-relevent research on gender inequality. Faculty, students and staff who are interested in researching gender inequality around the world are encouraged to contact Pitt’s Gender Inequality Research Lab.